A strong DD Team is already forming around Uli. Still room for one or two; beats a visit to your dentist for sure. ☠️Health warning! With positive DD your investment might be more than a dentist's bill though. ☞ Just email Uli.Wiehle@fka.nz if you can and want to help with DD. Yabble DD is progressing with Uli now close on the heels of Cornelius and his gang. Ah Song Sunwoo, originally from Seoul and FKA's normally fervent advocate at Glaister Ennor, gleefully sent through this cheeky nose rub. Between Friday editions FKA's CCH finds an occasional outlet on LinkedIn for his graphics or critical opinion. FKA keep getting better on all fronts. Our formal LP structure has imposed a lot of painful admin and other rigours that a lean organisation can well do without. We have now dissolved LP1 and LP1 which were formed in 2014 and 2016 respectively. Forthwith we will operate under a much simpler Custody and Management Agreement (CMA) which will be circulated to all existing investors in the coming weeks. The new 11-page CMA replaces the 39-page LP agreement and the 9-page power of attorney. It can be signed electronically, most likely with FileInvite PFC#14, by a single investor contact aka the angel. Incredibly sometimes lawyers can reduce the word count. For that, big thanks go to Mark Hopkinson at Glaister Ennor. They had planned on an angel round with FKA in the middle of this year. However, already in the positive cash flow nirvana, they are delaying the round until it is clear where best to apply growth funds. Thanks, Stephen for the AI report last week. Looks like Josh and Tim are doing a tad more than just talk the AI talk ? Okay, the road show up and down the country to reel in applicants is over. From 40 strong applicants, the qualifiers for the program will be announced in the Top Ten workshop next Tue, 3 July 16:00. Go there! Be there! You might like one of them enough to step in as one of the mentors. ☞ RSVP or ping Debra.Hall@fka.nz aka D.Hall@Zino.co.nz directly. Not nek minute but nek day! Join us for drinks, pizza and all you can ask. In the last week, Rudi received two unprompted requests to introduce two later stage investors to Hot Lime Labs PFC#13 and Moxion PFC#10. Talk is talk but also a natural precursor to action in the angel/VC space. We had three company presentations on Tuesday, good ones based on the reactions in the room and subsequent Q&A. Voting to proceed to DD is already underway for Toothcrush. Both Vesper Marine and Dotterel are only potential and very limited co-investment opportunities, with more details yet to follow from Chris and Rudi respectively. The abridge videos below provide more background on each company. The Chief GIF Maker thinks he can now also make square format videos. OMG so far only LinkedIn has been affected. But who knows what will come next? The first post has a lively discussion about the NZ startup ecosystem including @IceAndy. The second post is about sharks ? X-Men Angel @ xone. Some FKAngels too? We got this invitation from Lauren Merritt, head of xone and innovation manager at Vodafone. Dojo peeps do awesome coffee and cocktails - so rumour has it. So be there and put them to the test, BizDojo Takapuna next Friday! Mick Jagger has a younger brother Chris. Does he also have a younger nephew Chris who lives in NZ? Last week's pizza eating pics in this fine publication re-ignited this rumour. Ruth Malo from NZVIF is wondering if she should organise a karaoke night to clear this once and for all. Next Tuesday is the third Tuesday of the month and that means pitch night. Marisa and Uli are bringing a startup all about teeth. There could be two more to do with water and noise but they are as of yet unconfirmed. As usual, KPMG will be hosting the night. Tue 19 June, 18:30 at 18 Viaduct Harbour Ave, AKL. Note from the editor: This a special request insert from FKA's Chief Cat Herder. However, his whip imagery was toned down to the above VIP theme. One has to presume, these two stood him up last month? FileInvite PFC#14 is also useful for the collection of DD docs. So Garth and Jai have taken the initiative to setup Cornelius as the first DD Lead and guinea pig to use FileInvite for Yabble DD. Thanks, Garth and Jai! Cool Stuff! Little Tim Warren (because Tim Gelston is big Tim) is another FKAngel who has taken initiative and wangled 6 months free Xero use for all visitors to ADI.Clinic. For some bizarre reason, Tim prides himself in asking always the first question at pitch night. Never mind but keep up those Xero-type asks! Apropos ADI.Clinic: In Auckland, we had 4 founders and 8 mentors. But make no mistake - that gives not a 2-1 ratio but an 8-1 mentor ratio for 4 successive sessions. We had one founder almost in tears, not because we're unlikely to give her money at this stage, but because we gave wise advice re co-founders, she already had one experience from hell, because we could give her numerous connections and because we found many encouraging words, especially Simon Brown can praise better than most. Unicorns? Yeah, right! Read this interesting article with lessons to learn from 7 startups that failed after raising each more than US$50m. FKAngel Tim Gelston and NZVIFler Chris Jagger totally loved the pizza at our AAA ◇ Ask Angels Anything meetup, Wednesday of last week. See our brief video to get a feel of the inaugural night. 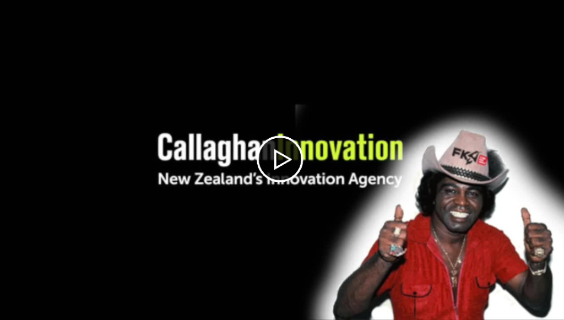 This video illustrates the three role models that the Zino Innovation Hub is looking for in the ideal mentors for the New Kiwis Challenge. Interested? Get in touch with Debra.Hall@fka.nz about mentoring ? The World Innovations Forum is an annual event for entrepreneurs, corporate intrapreneurs, investors, enablers and economic growth officers. 12 sessions in 4 hours each day for 3 days. Two events each day, one for the Eastern Hemisphere and one for the Western Hemisphere. Attendees can go in and out of the session at any time. Once you have your login information you are free to use it for all three days. Many eat Kellogg's cereal for breakfast, others ingest knowledge from the Kellogg School of Management. Here we have an interesting article on founder age. 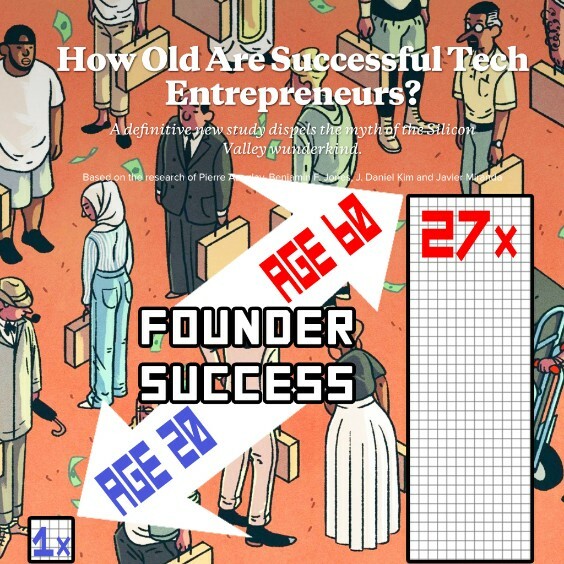 Surprisingly, a 60-year-old founder is 27 times more likely to be successful than a 20-year-old founder. Maybe Josh and Tim started with Ambit still a little bit early? Same goes for Hattaf and his Brewshout? On that basis, Aisleworx PFC#03 and Datagate PFC#05 must be bets with good odds and the Charlie-Charlie pairing at Uproar PFC#09 a good move. Fuel50 PFC#04, is Anne really only 21? Yabble DD is now underway after a brief delay over an NDA that some angels felt was too onerous. However, CEO Katherin promptly fixed that. Cornelius Boertjens is leading the DD Team consisting of Alan Buxton (UK based), Arron Patterson, Debra Hall, Jackie Young, James McGeorge (KPMG), Steve Copley and Uli Wiehle. Wow 7, that is more than half a dirty dozen. The roots of the company name may remain forever obscure. We found two brief video references in the worlds of skateboarding or cartoons. Debra is promiscuous with her time, she's with FKA but also running the Zino Innovation Hub, and there are numerous entrepreneurs that pick her brain. 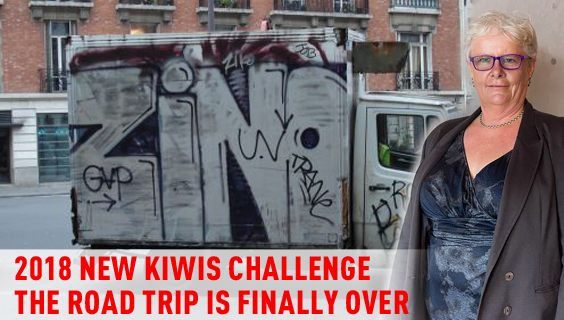 Zino is running the very successful New Kiwis Challenge again. Now, they are calling for mentors. You don't have to be short, wrinkly and green like Yoda to be a good mentor, and there is no guarantee that entrepreneurs will look like Princess Leia or Luke Skywalker. Woohoo! ADI.Clinic just had kittens. 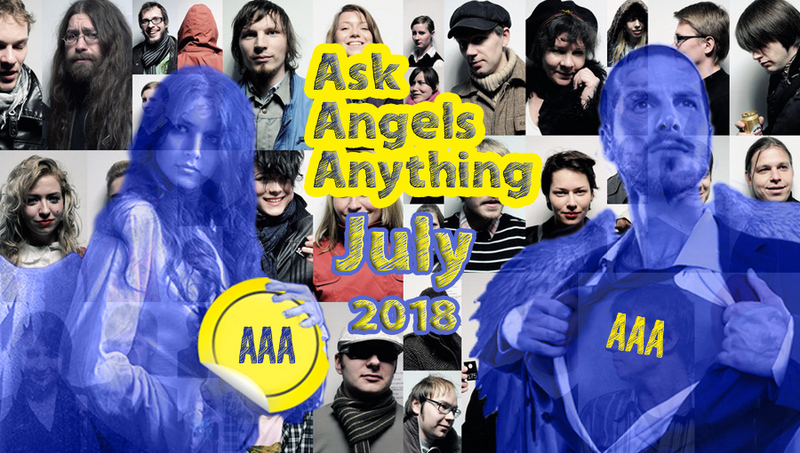 On Wednesday we ran our first AAA ◇ Ask Angels Anything session at the Generator, 12 Madden St. It drew a new audience of founders and stimulated a lot of interesting conversations, and new bookings for our regular ADI.Clinic. Uli and Marisa want to bring a startup to our next pitch night, 19 June. Imagine a startup that is already touching 500,000 teeth every day, is break even and now looking for funds to scale up. Intrigued? So you should be! Hear it all at the pitch night! Note: $25k is the entry commitment for ACTIVE angels, FKA's general co-investor minimum is $10k per investment. Alexander Jarvis ☞ Read all. "So it seems that startup valuation comes from how much you can raise, limited by the investor market, and what your dilution is, that you accept. It’s an output rather than an input." Tomasz Tunguz ☞ Read all. "There are five forces driving the startup ecosystem today...[which means] For founders, greater access to capital at higher valuations from investors who understand these models better than in the past are all positives... For investors, this environment also has many benefits. There is a larger universe of investors to invest in companies at later stages, increasing fundraising likelihood. Subsequent rounds are completed at higher valuations, boosting IRR and paper multiple..."
Ray Dalio is a US billionaire investor, hedge fund manager, and philanthropist. He is the founder of investment firm Bridgewater Associates, one of the world's largest hedge funds. Now aged 68, he is sharing some of the insights into how he made US$17.4b with this video.